During the growing season, there are things you can control and things you can’t. Seed options, fertilizer and population rates are examples of decisions you can control. Whereas weather and the date you get seed into the ground are outside your ability to manage. 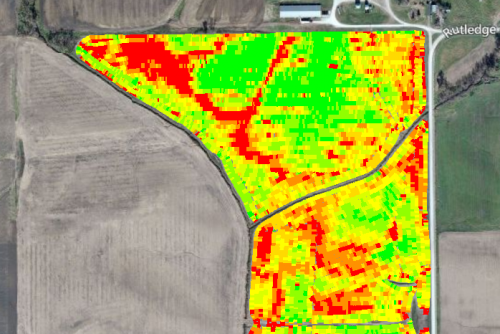 To make better decisions about controllable items, and be more profitable, collecting field and yield data has rapidly become standard practice in modern agriculture. Started in the mid-1980s by initially collecting yield results, data collection has developed to record all information from the placement of the seed in the ground, to its performance when harvested and marketed. As an overview of how data is increasingly being used to make critical crop decisions, there are three articles below on the subject: one from a university, another from a trade periodical, and the last from a manufacturer. Data goes beyond passively collecting – it has be actively analyzed and then implemented in order to make a difference. However, it is worth the time invested to gain the payback in productivity and profit. For more information on precision farming and data collection on Kinze planters, contact your local Kinze dealer.